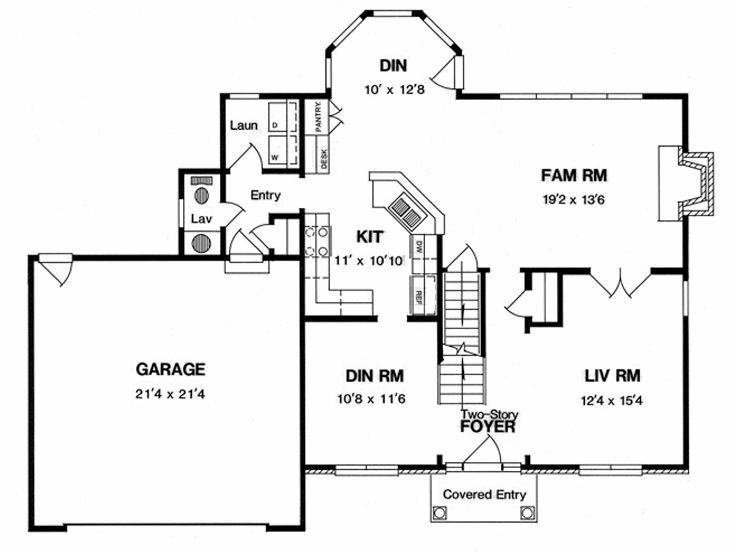 First Floor 1100 sq. 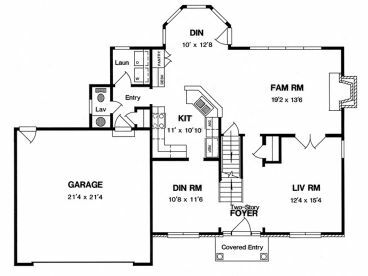 ft.
Second Floor 892 sq. ft.
Width 54 ft. 8 in. Depth 41 ft. 8 in. 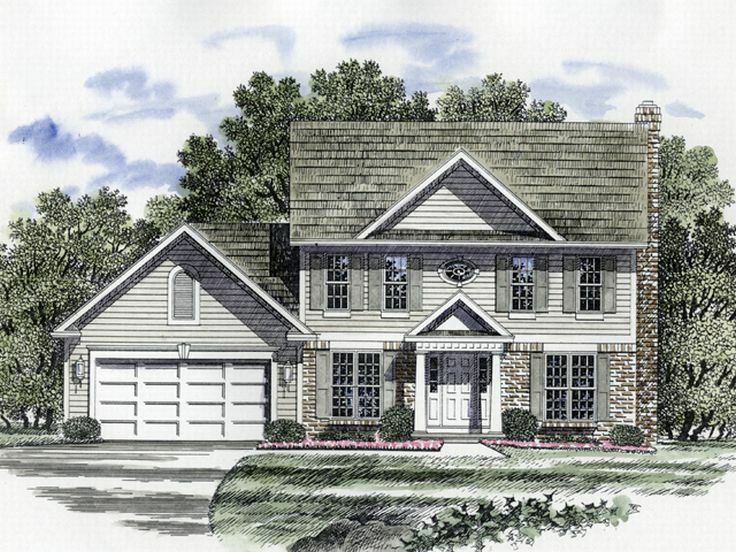 Symmetrical windows and a covered front porch lend to Colonial charm with this house plan. A two-story foyer greets all who enter and showcases the formal dining room and living room on each side. 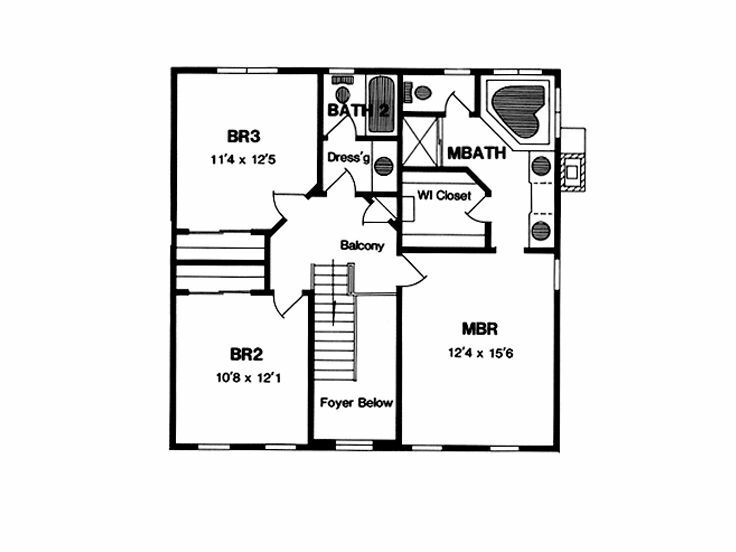 The efficient kitchen boasts a menu desk and pantry as it serves both dining areas with ease. An array of windows brightens the kitchen with sunlight, while a wall of windows fills the family room with sunshine. A fireplace warms the living areas and French doors lead from the family room to the stylish living room. 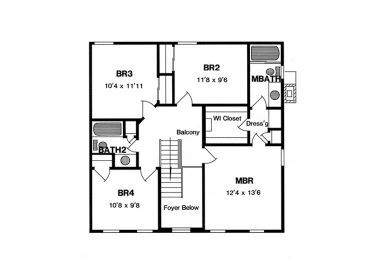 Four bedrooms enjoy the privacy of the second floor. 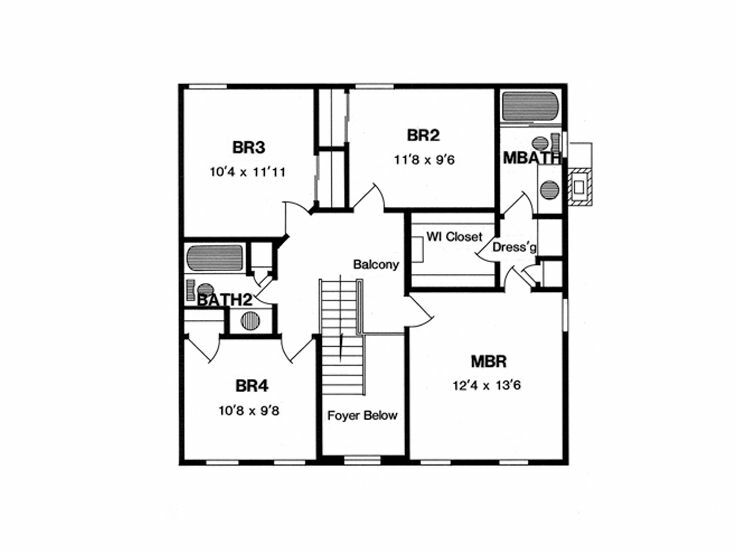 A full bath and walk-in closet enhance the master bedroom while the three secondary bedrooms share a hall bath. 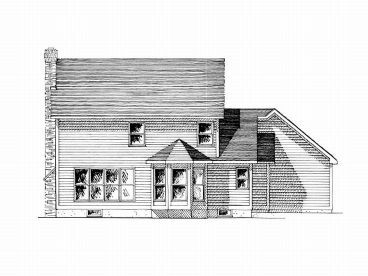 This two-story home plan is perfect for a large family. 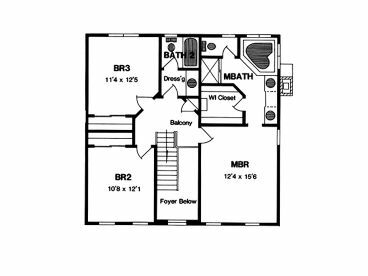 An optional second floor plan comes with this home plan featuring three bedrooms on the second floor with a lavish master bath design and provides 885 sf of living space.